Uptown Update broke the news in September that Godzilla Sushi would be opening soon on Clark Street. It did, with a Grand Opening on October 19th. We finally made it there for dinner last week. It was impressive. 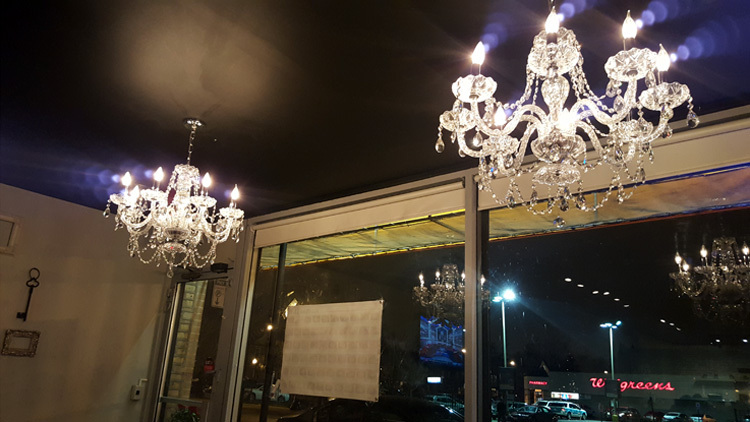 A very pretty space was created from the former Bangkok Video & Grocery at 4617 North Clark, complete with exposed brick, light and dark wood, and chandeliers. 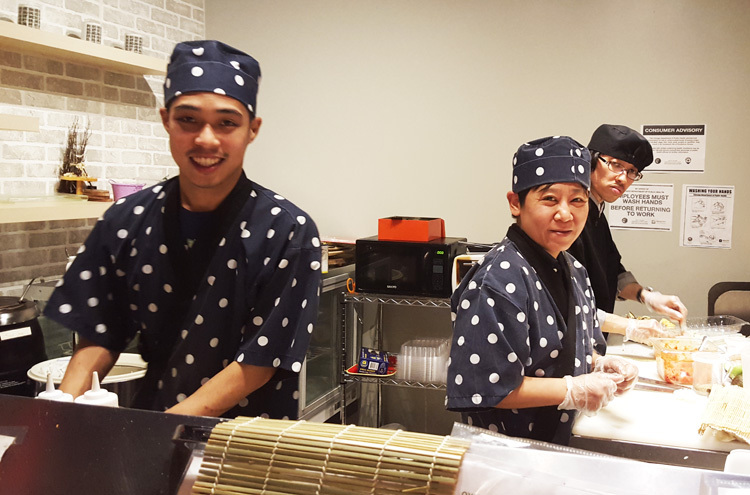 The sushi chefs do their thing in plain view of customers. The service was attentive and friendly, and we noticed a lot of orders going out for delivery. The room seats about 30 diners at a time. The food was very reasonably priced with most items priced at $2.95 and served tapas-style so everyone could have a bite if they wanted to. There was something for everyone in our party, including the vegetarians. 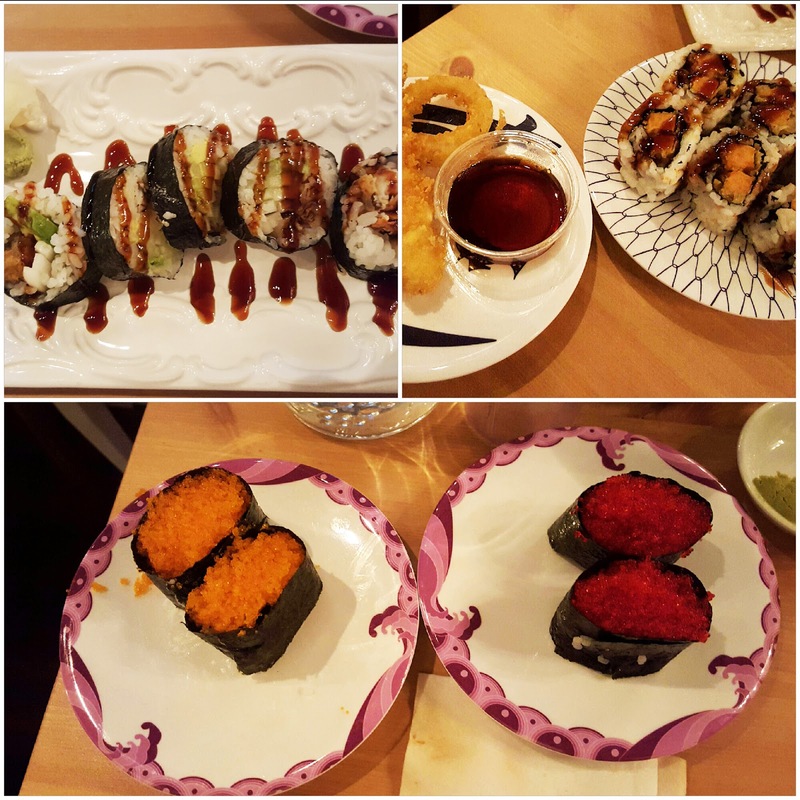 Sushi isn't just raw fish: our order included edamame, sweet potato roll, avocado roll, vegetable tempura, and cucumber roll. For the carnivores, there was Philly roll (smoked salmon, avocado and cream cheese), Crazy roll (tuna, yellowtail, salmon, crab, cucumber, lettuce and masago), Dragon roll (shrimp tempura and cream cheese wrapped with freshwater eel and avocado topped with unagi sauce), and masago and tobiko (various fish roes). There's much, much more on the menu, probably 60 or so items. 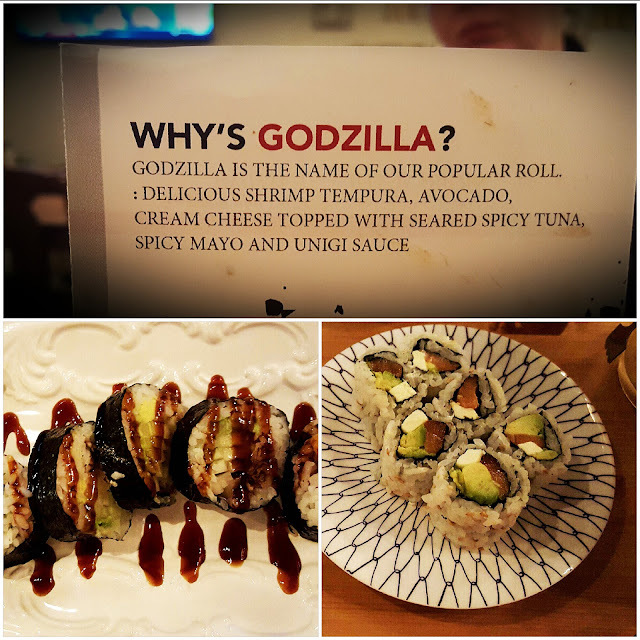 Godzilla is open for lunch between 11:30am and 2:30pm daily, and reopens for dinner at 5pm. It's open until 10pm Sunday through Thursday, and until 11pm Friday and Saturday. 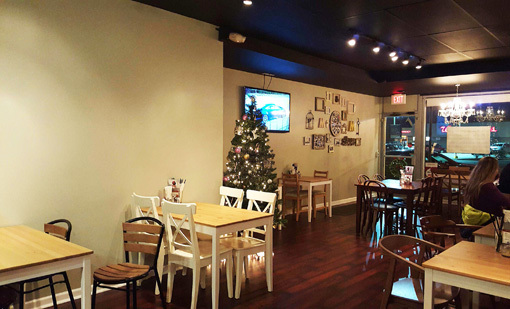 Takeout and delivery are available, as well as dine-in. Its website is here. It's BYOB, so you have the option of stopping at Rayan's or Walgreen's, both at Wilson and Clark, to bring in your own spirits.